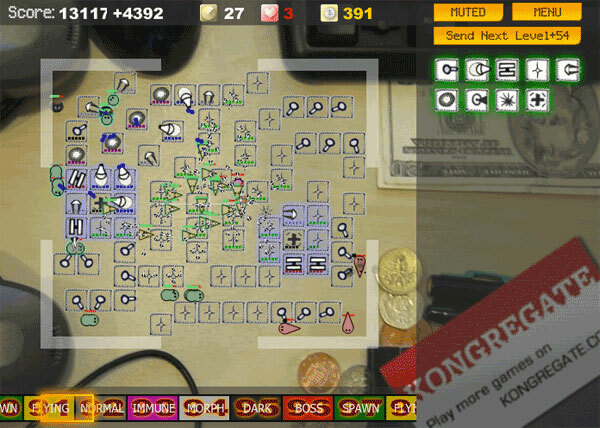 Desktop Tower Defense is one of those great flash based internet games, where you start playing for a few min, and hours later your still having fun. Its a very simple concept game. all you have to do is stop the “armies” from reaching the other side of the board. You get a plethora of weapons to choose from. You build these different types of “turrets” to Kill the invading armies. A few hints i have so far for this are as follows. 1: Build your turrets in a maze. The armies can not walk through them, use this to your advantage. Blockoff paths, and channel them to where you want them to go. Make them pass the same turrets as many times as possible. The only thing you cant do is trap them. 2: Upgrade your towers every chance you get. For a minor fee you can double, triple, and then some, your turrets damage, and range. Making it a much more fierce fighting force. As the levels move on the enemies will have more HP(Health Points) and an upgraded tower will not be able to cause enough damage to them. 3: Find a happy medium between the 2 above posted Hints. Game is posted after the break. It has been nearly 20 years since the last Ghostbusters movie came out. I still get super excited when i watch those movies. About a year ago, i had heard they were planning on making a third Ghostbusters movie. Apparently because of the age of everyone, they decided to make it an animated feature length film. I was Skeptical, But excited. Then one Day In early Jan of 2007 this leaked video footage appeared on the Internet. It was a demo video of a unlicensed Ghostbusters game released by a company called zootfly. The Internet buzz about this was insane. So many people were super exited about this game, only to find out that zootfly had no rights to make this game, and that this game would not come out. Many people upset about this started online petitions in an attempt to get enough support to have this game actually made. Needless to say I’m still super excited for this game to come out. 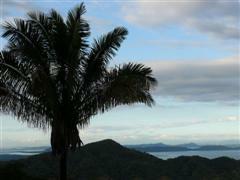 Ojos De La Tigra is a new and exciting Costa Rican development, being built by my Uncle. I have spent many hours working on his website getting it to a much better place then it was before. The new website is much more professional looking then the previous site. It is in no way perfect, but its my master piece. Ojos De La Tigra, roughly translated means Eyes of the Tigress, and how right it is. The beauty of this country holds no bounds. Located on the southeastern coast of the Nicoya Peninsula Ojos De La Tigra is Costa Rica’s best kept secret. Beautiful views are just the tip of the iceberg in this real life paradise. Visit the Webpage at http://ojosdelatigra.com/ If you are interested in more information.